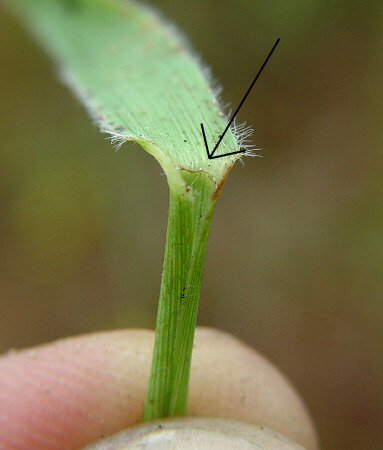 Arrow shows small, hairy ligule. Flowering - September - November. 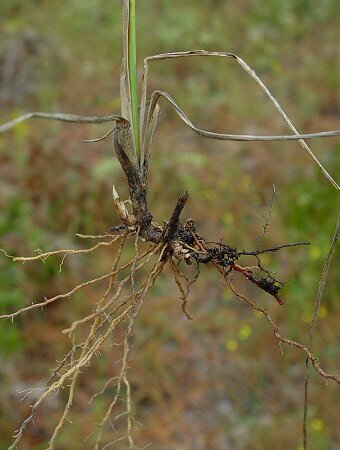 Habitat - Sandhills, pinelands, flatwoods. 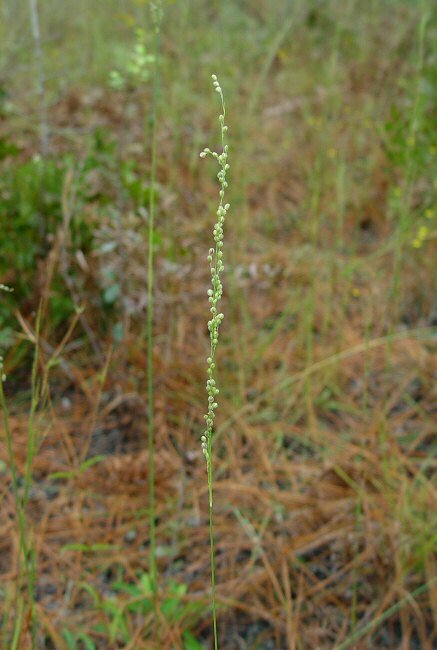 Other information - This species can only be found in the most southern Alabama counties where its sandhill and pineland habitats exist. 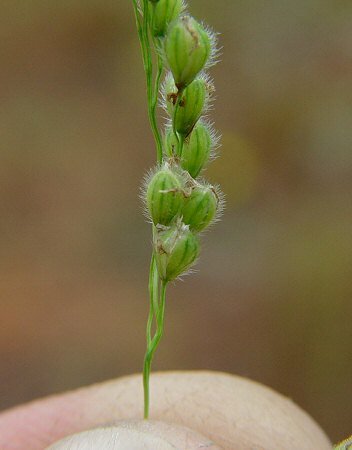 The grass is fairly easy to identify becasue of its hairy, rounded spikelets. Another species, A. rufa (Nutt.) 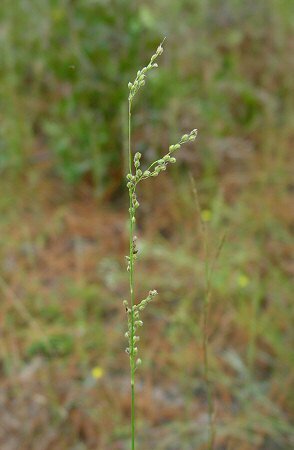 Schult., is similar but has much thinner leaves and longer hairs on the fruits. 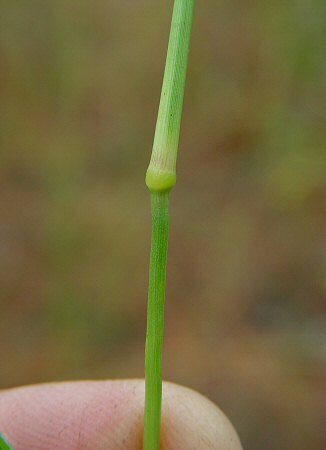 This latter species likes more moist habitats. 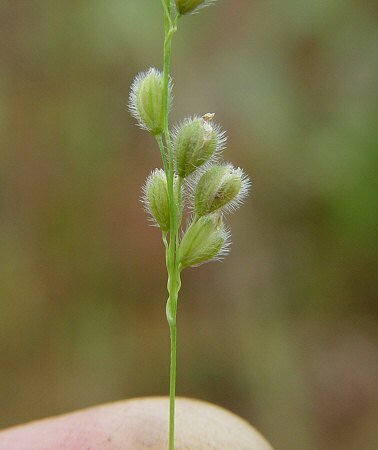 The species epithet villosa derives from the Latin "villos" meaning "hairy" referring to the spikelets. Photographs taken at Fort Benning, GA., 10-9-05.